To make a small living room feel bigger you need to make the best use of the space available. In order to do that, we need to look at the dimensions or boundaries of your space – the floors and walls, ceilings and windows. Here are some small living room ideas and tips to help you maximize every inch of your space. Floors and walls – A basic rule to increase the feeling of spaciousness in a room is to use light colors. 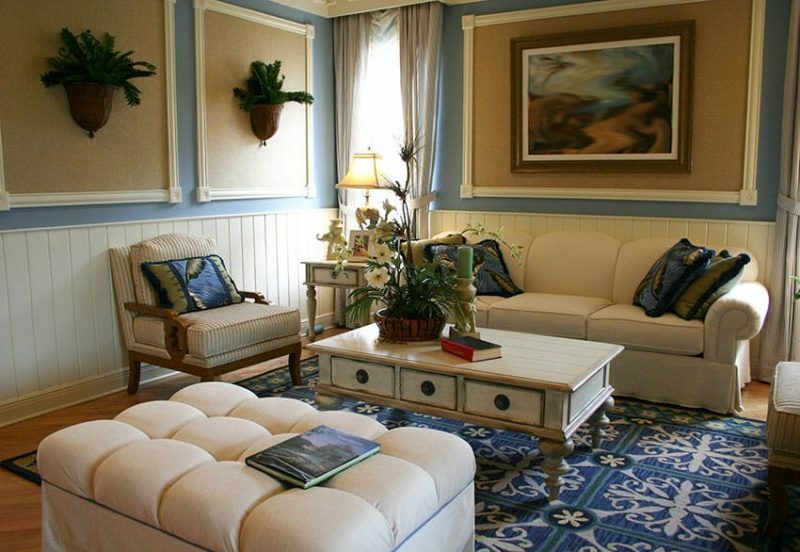 Painting your living room walls a light color to open up the space. Light colors for space goes for flooring too. Try to choose light colored flooring material such as light wood or pastel hued tiles. If your living room doesn’t have light flooring, you don’t have to rip it up, just place a light colored rug or rugs over it. You can trick your eyes into seeing a more spacious room by using a mirror. A mirror on the wall reflects the room and increases the feeling of depth. Stripes can also make a room seem larger. Stripes that go the length of the room, along the floor or wall, can create an optical illusion that lengthens the room. Ceilings – A high ceiling makes rooms feel and look airy and spacious. You can “fake” a high ceiling by drawing eyes upward. Try painting a bright color on your ceiling or paper it in wallpaper that has an interesting design or pattern. 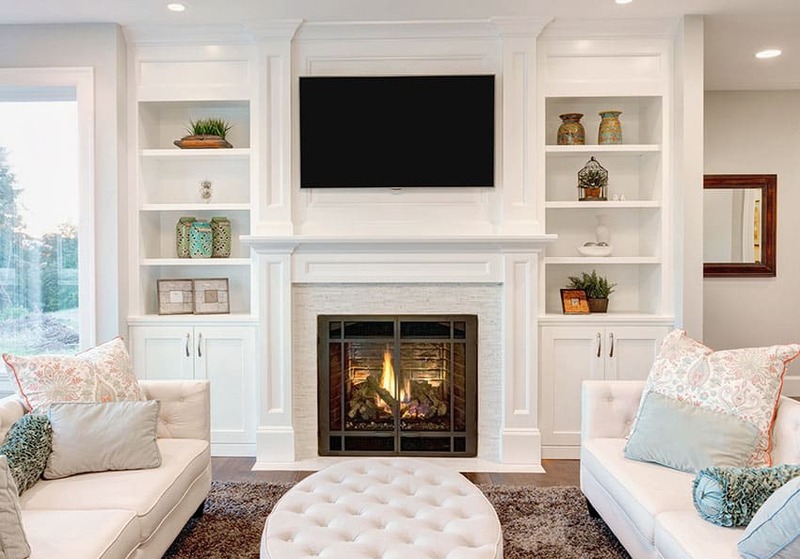 Make your ceiling interesting and eye-catching by adding decorative touches such elaborate crown molding, a decorative stripe of paint or wallpaper for ceiling trim or by hanging shelves and artwork near the ceiling. 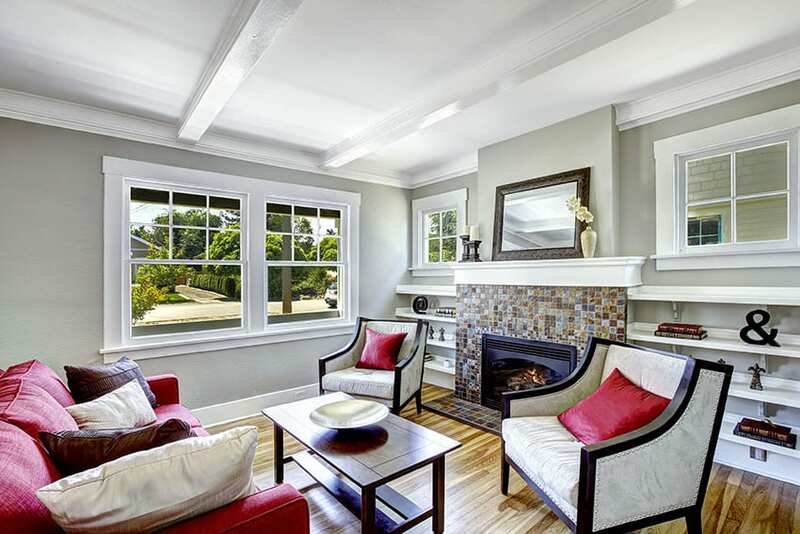 Windows – To make a small living room look bigger, you might want to forgo window treatments like curtains or drapes. By leaving your windows bare, you let in more light and this helps your space seem light and airy. If you don’t feel like bare windows, just keep things simple. 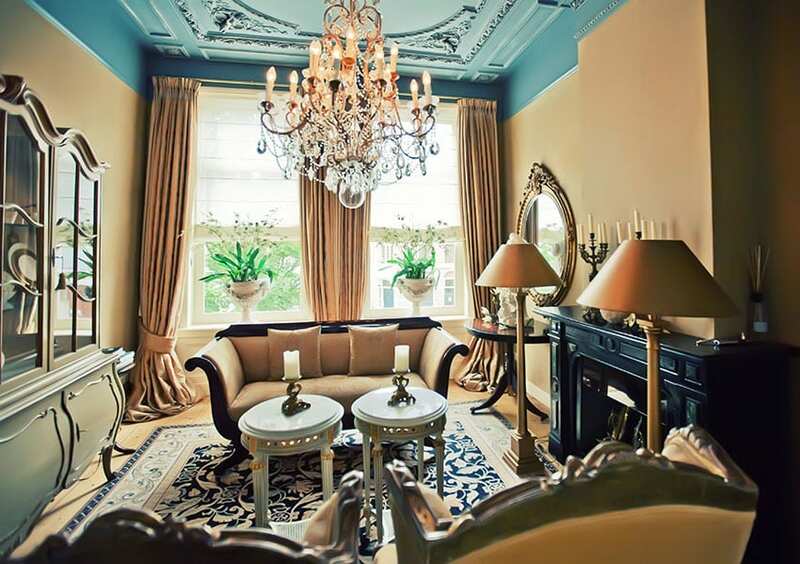 Opt for simple blinds or shades instead of elaborate brocade curtains. Gauzy sheer curtains are a good option as they let the light in but still provide some privacy. Try having ceiling to floor curtains as these also draw the eyes upward for the illusion of extra space. Place a mirror across from your window. The mirror will reflect the view outside and give the impression of you having an extra window. After you’ve looked at your room’s dimension, take a look at the things that you place in your room, your color scheme, furniture and storage space. Colors – Light colors reflect light and this makes the space seem larger. 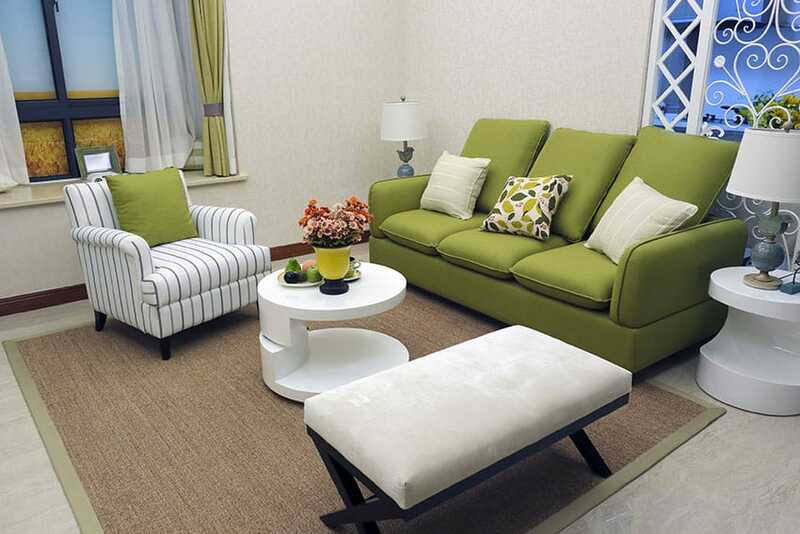 Use pastels, neutrals and white to make your small living room look bigger. Stick to a palette of two or three colors as a cohesive color scheme lends an organized look to a tiny space. Try a monochromatic color scheme on the furniture, rugs and walls. Play with different shades of your chosen color in different patterns to keep things interesting. 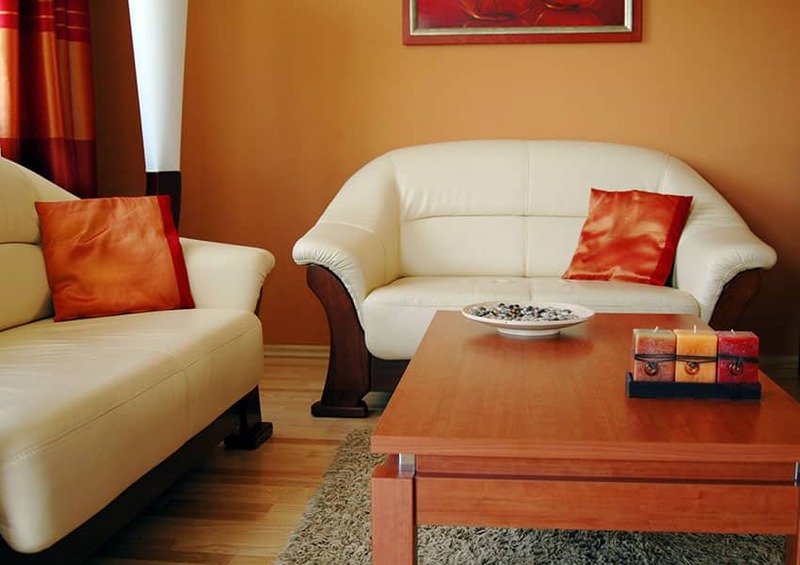 Furniture – Avoid bulky furniture and opt for furnishing with legs and open bottoms. When you can see the space beneath it creates a feeling of more space. Choose furniture pieces that can do double duty. Ottomans are great examples of this; they can serve as side tables and as seats. An antique trunk is something you can place things both on and in. Storage space – Vertical storage, such as floor to ceiling bookshelves, gives you storage space without taking up floor space. They also draw eyes upward and make ceilings seem higher. In-built storage, such as TV nooks, gives you out of the way storage space and keeps things uncluttered. We hope these small living room ideas can help you get more space out of your interior designs. What techniques work best for you for creating a larger living room space? As always we’d love to hear your comments on our Facebook page.